So now to look at how to use WordPress. This Using WordPress Basics sheet gives you an overview of the WordPress administration area, the dashboard, and is enough for you to get started with your first WordPress pages and posts. Before you launch into your life of WordPress you need your domain name – the website/blog address – and hosting. Registering your own domain name means you have your address for as long as you want it – you can have individual email addresses (no more @btconnect.com or what have you). The Blogmistress can register domains for you (in your name) for £10 per year, or pop over to UKREG for a reasonable service and pricing. You will tell the domain where the website/blog will be hosted. 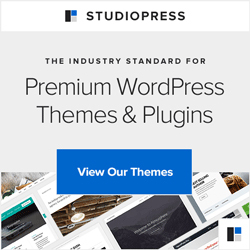 For simplicity you want a host that includes a “one-click” WordPress install option (ask your host about this – it may be within Fantastico or Softaculous options, if included). This really does make the process wonderfully simple, however the WordPress “5-minute install” is pretty straightforward too though may need some help setting things up if you’re not familiar with databases and editing code. Another option is to get us to do this bit for you – tell us who your host is and we can then let you know how much it is for us to set up your WordPress. If they argue about this, find another host. So – once your new WordPress is ready to go, take a look at that Using WordPress Basics sheet and explore – have a good rummage around, create your first blog post, add a page, define your categories – just play.